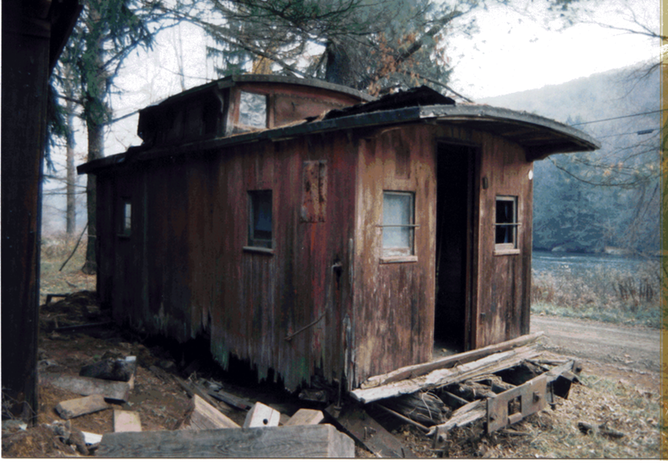 Before coming to CAMA in 1993, Tionesta Valley Caboose #111 had passed into private ownership, being used as a hunting cabin in rural Pennsylvania. 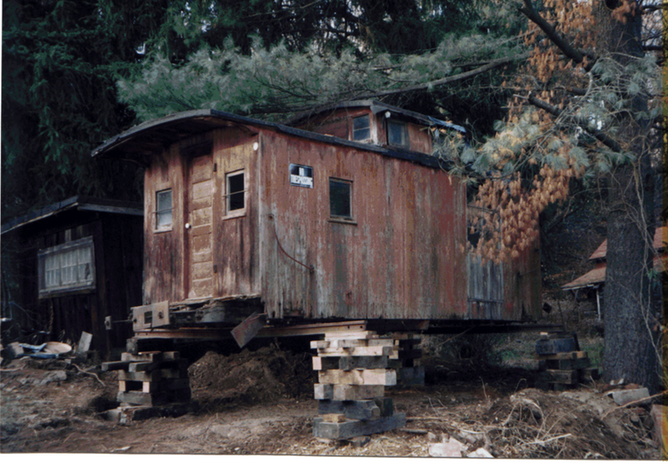 Stripped of her trucks, she was set on a wood frame. 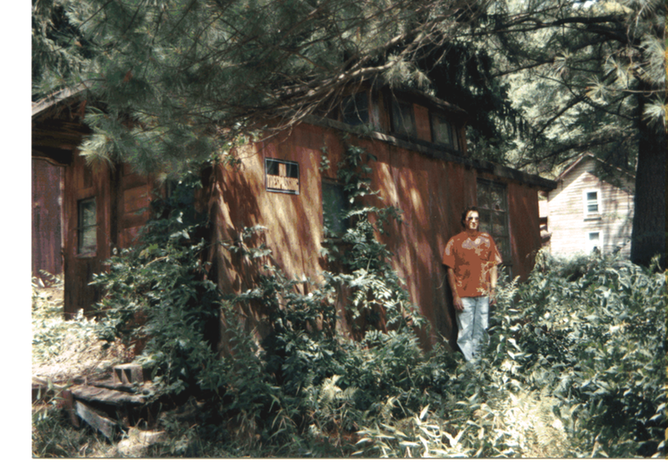 With the passing years, #111 fell into disrepair and was eventually, nearly swallowed up by white pine and weeds. 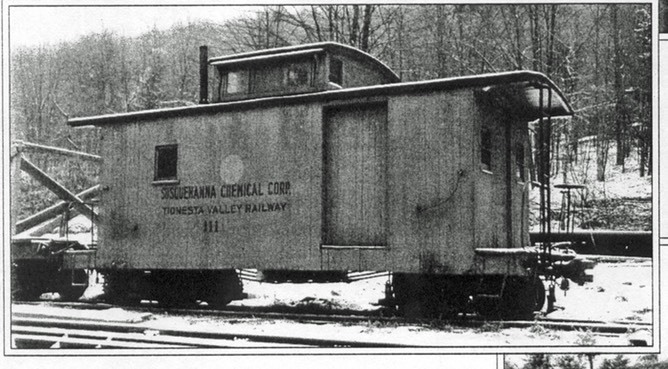 In 1993, barely identifiable as a caboose, Tionesta Valley #111 was slowly being eaten up by the forest. CAMA volunteers traveled to Pennsylvania to retrieve this rare piece of history. After clearing the brush and weeds from around 111, the ravages of time could more clearly be seen. Rot had claimed most of the platforms and was creeping up the tongue and groove siding. #111 was next jacked up on cribbing to prepare for trailering back to Connecticut. The trailer is next backed under #111 and the caboose is jacked down onto the bed. 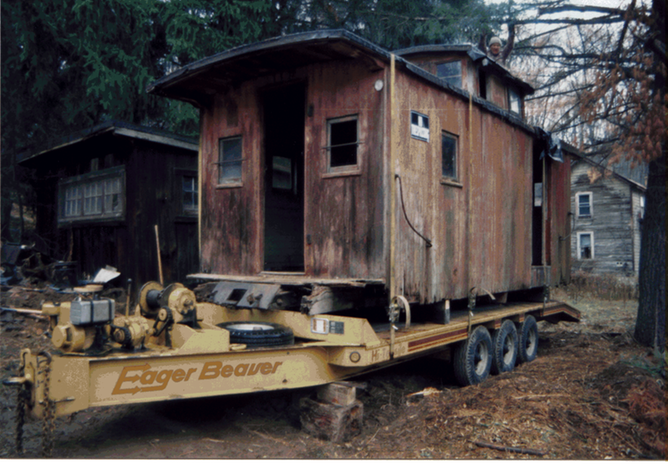 Finally, the cribbing can be removed and the caboose strapped down and ready for the road. 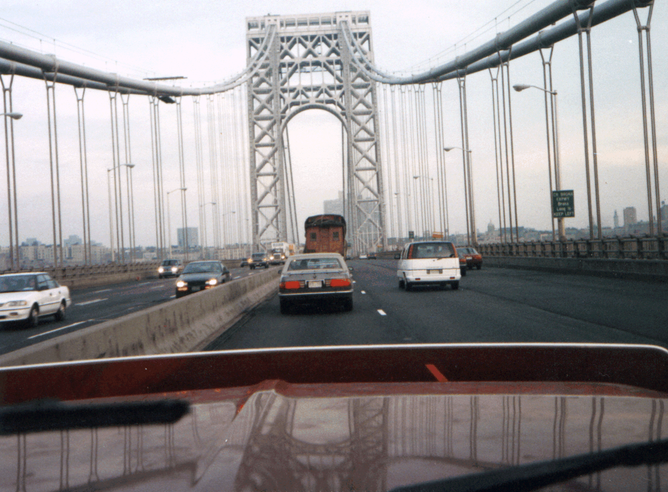 Even New Yorkers who thought they've seen everything probably did a double take as the Tionesta Valley Caboose #111 crossed the George Washington Bridge.